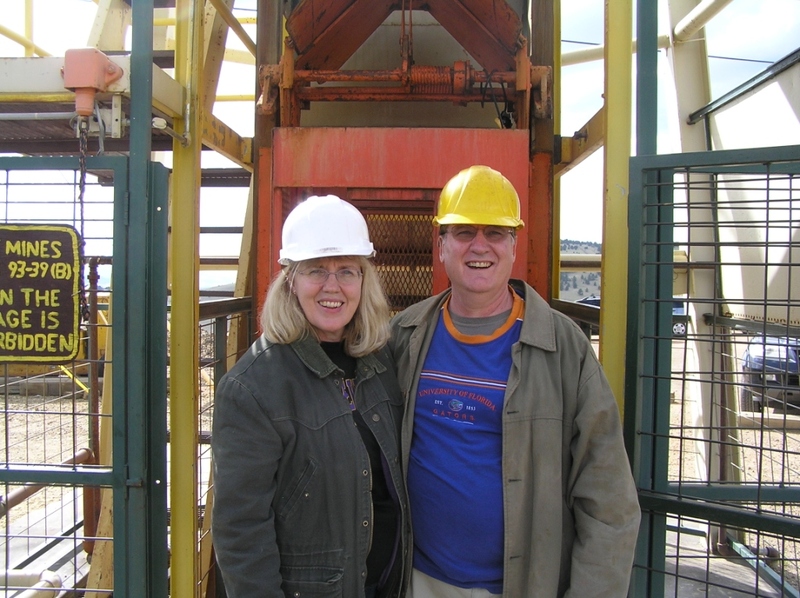 Mike and I were smiling after our near-panicky elevator ride on the Mollie Kathleen Gold Mine tour (taken July 2011 in Cripple Creek, Colorado). If you’re claustrophobic, don’t take the tour. It was a cram-as-many-students-in-a-phonebooth-50s-style experience. Add total darkness and a descent of 100 stories and you get the picture. Are you enjoying a little downtime before or after CSU2013? What are you recommending? We’re heading out Thursday for Colorado with a stop in Leadville before Staff Training. This is just a save-the-date post. I’ll post specifically about different events this week and next. I’m also posting about some seminars and events on Twitter and Facebook (visit e4e’s Facebook page for FB events). I included my photo on this post so you can grab me, say “hi” or ask questions. I’ll be delighted to see you and to chat! I can’t wait to attend BAM (Blogger Author Meetup)! Join us in the southeast tent behind Moby. Judy Douglass and other authors and bloggers will be there. We’ll have giveaways, too. I’m putting the final touches on a seminar / panel. I know you’ll find it very practical. You should have some specific steps you can plan to take after hearing from our experts. We’ll be in Clark 201A. I looked for seminars that I felt would help Cru staff with ministry plus technology. They’re listed in the eQuipping for eMinistry calendar which you can access through your Google calendar or check the list of events in the right sidebar on this blog. All events are in Mountain Time. A friend will be offering helpful classes. As soon as I know more about them, I’ll spread the word. UPDATED: Here’s the schedule. I’m looking forward to a great week at U.S. Staff Training! What are you looking forward to? Next Next post: Do You Have a Mommy Blog Ministry?